Posted on Friday, February 5th, 2016 at 1:12 pm. 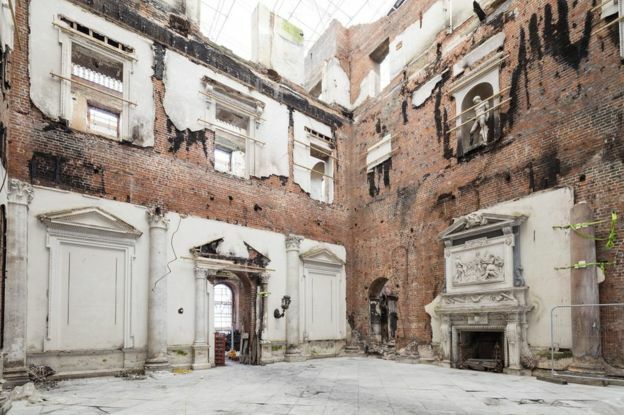 It was recently announced by the National Trust that parts of Clandon Park House, the stately home that was reduced to a shell by a fire last April, are to be restored to their “original glory”. Read on for our outline of the key considerations for this type of large scale renovation project. It is said that up to 95% of the Grade I-listed house, which featured in the 2008 film The Duchess starring Keira Knightley, was damaged in last year’s fire…so there’s a big renovation project ahead. As the market leader in placing renovation insurance, we know exactly what’s involved in renovating a property of this stature and historic sensitivity. Whilst we aren’t involved in the renovation of Clandon Park House specifically, we’ve used the property as the basis for this blog – highlighting the key points to note from a renovation insurance perspective for such a large scale stately home renovation. In all renovation works, the experience and competence of the contractor will be key. 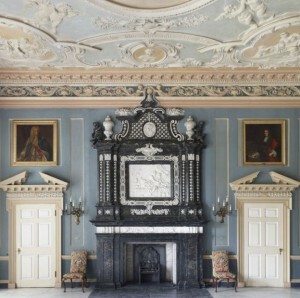 In the particular example of Clandon Park House, it becomes even more important. The restoration will be complex, will take a long time and the structure itself will be difficult to secure both structurally and from a security standpoint. A suite of top notch liability insurances held by the contractor and the property owner will also be essential. The structure is likely to be unstable and relatively easy to access, and it’s likely there’ll be a lot of people on site at any one time. The potential for injury is quite high. 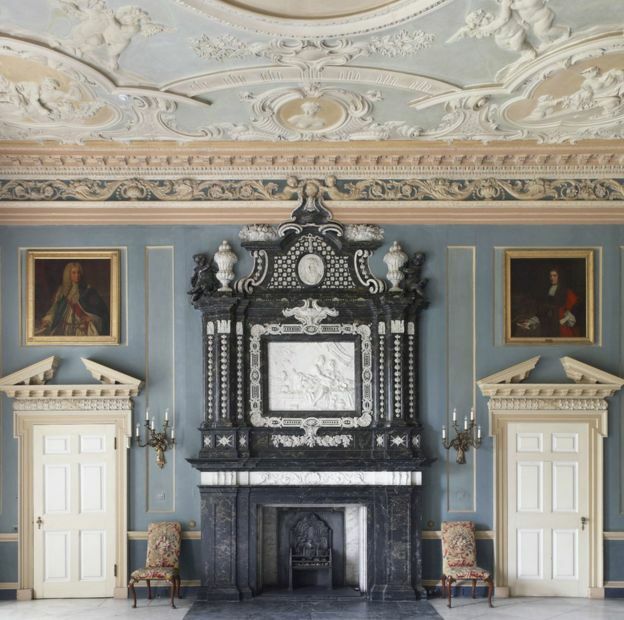 The plan is to restore the most important ground floor rooms at Clandon Park House to the majestic standard from the 18th Century, while the upper floors will be used for future exhibitions and events. In such a big project, and one that’s aiming to meet very exacting standards, it’s important that planning and conservation officers form part of the professional team. If they’re fully involved and welcomed this will maximise the likelihood of a smooth restoration all round. Of course, using a construction specialist broker and insurer is essential – they will completely understand and appreciate the cover requirement and ensure the project gets the right cover. Large scale renovations like this are very individual. That’s why here at Renovation Insurance Brokers we take a bespoke approach to providing such specialist cover – exploring and understanding the individualities of every project and tailoring the insurance coverage to ensure the best possible cover. Those involved in the restoration of Clandon Park House also need to be realistic about timescales. Structures of this type take a great deal of time to restore due to historic sensitivity. Being realistic about budget is important too. Restoration costs will be massively higher than a non-historic or non-sensitive structure of equal square footage. In situations like this, a property owner has got to be prepared to spend a significant sum of money on the insurance package as part of the project budget too. Comprehensive cover for such an in depth project is important – and quality and credibly is key. It’s worth bearing in mind that where the damage being rectified is as the result of an insured event, the cost of specialist renovation insurance can form part of the claim under the previous property insurance coverage. In any renovation project, you can never have too much information (the more the better) and open and transparent communication is hugely important throughout the process. There are likely to be changes to costings, interruptions in the progression of works and possible incidents on site. All these examples and many more like them have the potential to make the claim process fraught if insurers are not informed, so communication really is key. We wish the very best of luck to all those involved in the Clandon Park House restoration. Our specialism is placing high value renovation insurance for a variety of properties – from Chelsea townhouses to country piles. We deal with unique renovation insurance requests here at Renovation Insurance Brokers every day. We’d be delighted to help you with yours. Images courtesy of National Trust. Posted on Thursday, August 13th, 2015 at 3:08 pm. Posted on Friday, August 7th, 2015 at 9:56 am. Posted on Friday, July 17th, 2015 at 9:06 am. Large scale renovation projects are complicated and unpredictable, and made worse if each contractor in the process is working alone. By taking a collaborative approach between architect, renovator, broker and builder you can ensure you utilise all of the expertise within the project, for maximum benefit. Posted on Tuesday, June 23rd, 2015 at 3:02 pm. Learn how continuing professional development from Renovation Insurance Brokers helps you provide the best possible advice to your clients, build trust and stay on the top of your game. Posted on Friday, June 5th, 2015 at 11:20 am. The past few months have been busy to say the least. We’ve been up and down the country visiting our extensive network of brokers, training them up on how to use our new Quick Quote system and offering guidance in terms of their continuing professional development. Posted on Friday, May 29th, 2015 at 9:48 am. Posted on Thursday, May 14th, 2015 at 11:09 am. Posted on Friday, April 17th, 2015 at 4:21 pm. Posted on Friday, April 10th, 2015 at 11:30 am.